“You’re basically looking at a supermassive black hole that’s almost the size of our solar system,” or 38 billion kilometers in diameter, said Sera Markoff, an astrophysicist at the University of Amsterdam who spoke at the Washington news conference. Einstein’s theory suggested that a massive object like the Earth would bend the fabric of space-time around it just a little, like placing a golf ball in the middle of a taut bedsheet, reported the LA Times. But a black hole has such enormous gravity that it would rip the space-time fabric apart. In theory, you can make a black hole out of any amount of mass, as long as it is squeezed tightly enough to be sufficiently dense. “If you took a baseball and crushed it down small enough, eventually it would rip the fabric of space-time too,” said Caltech physicist Fiona Harrison. Their work isn’t done: Doeleman said his team is still analyzing the data from observations of Sagittarius A*, which he described as a dynamic and exciting black hole compared to the more stately M87 black hole. It may be possible to capture short-term changes in Sagittarius A*. 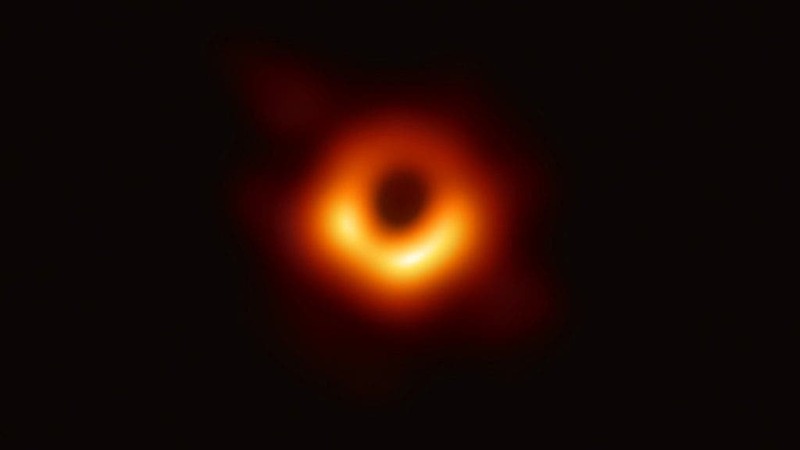 “Imagine if we can make a movie of a black hole instead of a still image,” Doeleman said in an EHT talk last month at the South by Southwest (SXSW) festival in Austin, Texas. “We want to make a movie in real time of things orbiting around the black hole. That’s what we want to do over the next decade.